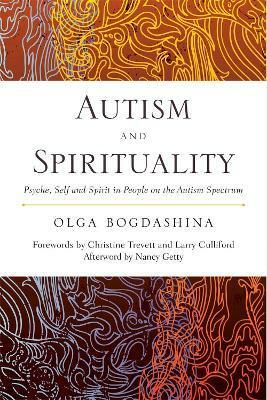 Olga Bogdashina argues persuasively that, contrary to popular belief, spirituality plays a vital role in the lives ofÂ many people with autism spectrum disorders (ASD). Drawing on interdisciplinary research from fields as diverse as psychology, philosophy, anthropology, linguistics, neuroscience and religion, as well as first-hand experiences of people on the spectrum, she shows how people with ASD experience their inner worlds and sense of self, and how this shapes the spiritual dimension of their lives and vice versa. She presents a coherent framework for understanding the routes of spiritual development and 'spiritual giftedness' within this group, offering insights that will inform understanding of how to support and nurture spiritual wellbeing in people with ASDs. This book gives a voice to both verbal and non-verbal individuals on the autism spectrum whose spiritual experiences, though often unconventional, are meaningful and profound. It is essential reading for all those interested in the spiritual wellbeing of this group, including pastoral carers and counsellors, ministers of religion, spiritual leaders, parents and carers and individuals on the autism spectrum.